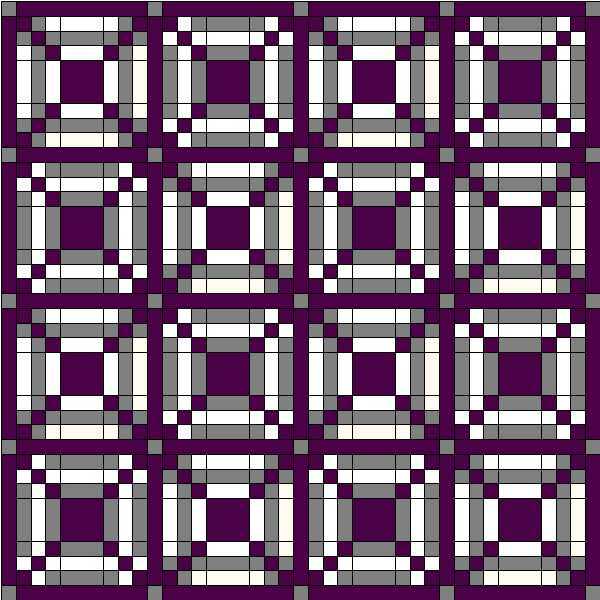 This is the name I’ve given this block – I’m not sure if its a traditional block, I drew it in Electric Quilt to combine the 9-patch and Basketweave blocks we looked at earlier. You can download the pattern for it here. Below I’ve given one or two quilt ideas and you will find more in the pdf. 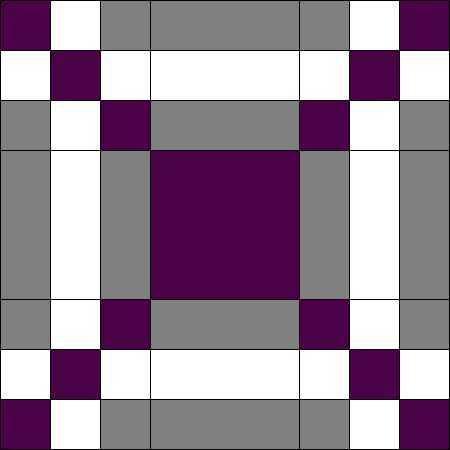 This quilt was made with the block in two different arrangements of the colours. The one below has had sashing and cornerstones added between the blocks and around the edge as a border. 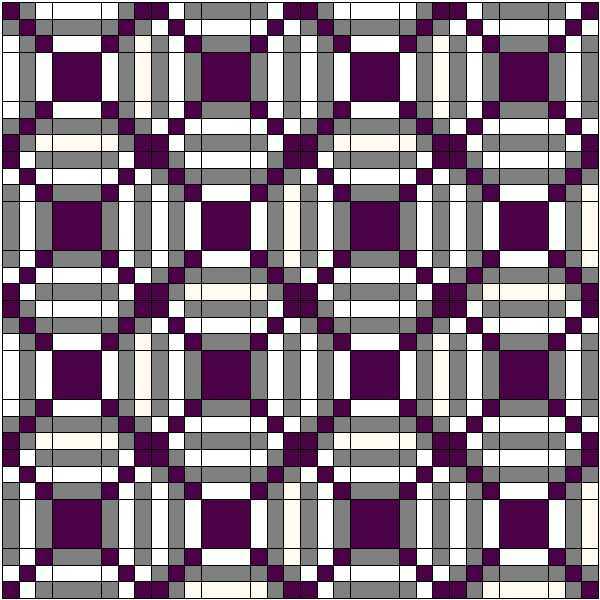 This is a really simple block to make – if you need help with strip piecing and cutting 9-patches you can find a tutorial on the website. What would it look like combined with the Double 9-patch block? This entry was posted in beginners patchwork, free pattern, machine piecing, patchwork patterns, rotary cutting, tutorials and tagged free pattern, nine-patch block on September 15, 2014 by Chris.